Chipotle Sofritas promotion: Company split on whether to honor free burritos after selling out of tofu. So popular that there were Nofritas left. 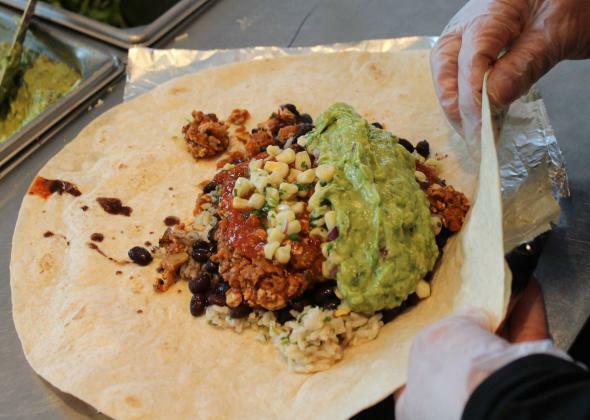 Monday was Chipotle’s big Sofritas promotion. To get customers to try its new and somewhat weird-looking vegan entrée, the chain had promised that anyone who came in and purchased a Sofritas item would be able to redeem his receipt over the next month for a free burrito of any kind. As it turned out, the offer was so popular (who doesn’t want a free burrito?!) that a bunch of Chipotle locations completely sold out of Sofritas. People weren’t thrilled. @ChipotleTweets Went to my local Chipotle yesterday for the sofritas deal and they were sold out! Any chance you'll run it again soon? 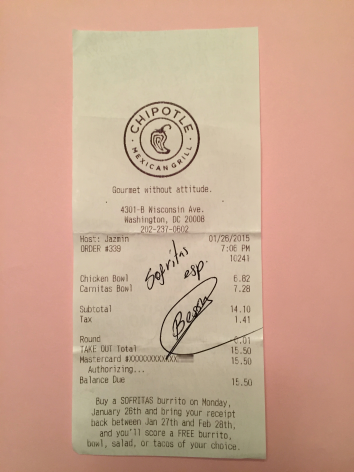 But when I asked Chipotle whether the company had decided to honor the receipts of people who weren’t able to get Sofritas, a spokeswoman reiterated that per the promotion, customers had to buy Sofritas entrées and present their original receipt to get the free burrito later on. Now, I kind of doubt that Chipotle plans to turn away people like my colleague, who essentially got a Sofritas rain check. That said, if your Chipotle was out of Sofritas yesterday, and you didn’t have an employee note on your receipt, you’re probably out of luck. And even for those who did get Sofritas, it will be interesting to see how many cash in on their free burritos. As Vox was smart to point out, only about 7 percent of on-receipt coupons were redeemed in 2012, according to retail technology firm Inmar. So many people today are just used to throwing out receipts without a second thought. Maybe Chipotle is counting on that to keep its burrito giveaways under control.